For twelve years I sweat my way through teaching a wide variety of fitness classes. Step aerobics, weight training, spinning, and even chair classes. Engaging with people and learning their stories was my favorite. Helping people grow in physical health by kicking their butts in class gave me great pleasure. Every January I had a love/hate relationship with the various clubs in which I instructed classes. To see so many newly resolved exercisers bearing down with grit, determination, and focus created the best kind of fitness energy. But, I also experienced loss when all my new bffs fell off the work-out wagon in March. It's all too easy to jump on a train bound for personal growth. However, when you realize the train is actually only going around the corner to drop you off with some gloves, a shovel, and an instruction manual detailing the fact you have to work it out, grit disappears, determination turns to dreariness, and focus blurs to indifference. A month ago, 80 of us retreated to the mountains for our annual getaway. 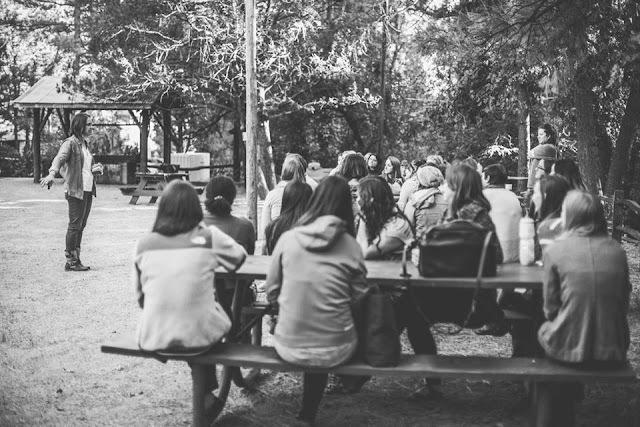 For a few months leading up to the retreat, God stirred in my heart a desire to spur women towards deeper intimacy with him through scripture, prayer, and community. To be honest, I had pulled way back on my wearing sackcloth and eating locusts in the desert raving lunatic way of life. I feared I was wasting my breath, getting on people's nerves, or worse, wounding people who struggled deeply. Thanks to the work of God in my life and to my good friend, Beth Moore, I'm over it. I've put my itchy prophet clothes back on and I'm out waving my crazy flag again. Aren't you so glad? Through the teaching of Beth, God reminded me that loving people isn't enough. Truth is an important part of the equilibrium of investment. Without truth, love becomes an idol, an excuse, and even an enabler. Truth is not oppressive or crushing. Truth and love bring restoration and rest for our souls. So, friends, let me say it again with fresh fervor: discipline results in growth, health, contentment, and freedom. As you know, I believe scripture memory is a key discipline in taking in the Bible. When you use it in conjunction with reading, studying, hearing, and meditation, your life will be transformed. I know too many people for whom this is true, so you cannot argue with me. You can try, but I won't listen. Make all the excuses you want, but while you're wallowing in the mire, I'll be over here beckoning you to get out of the poop and into biblical life/mind/heart transformation. 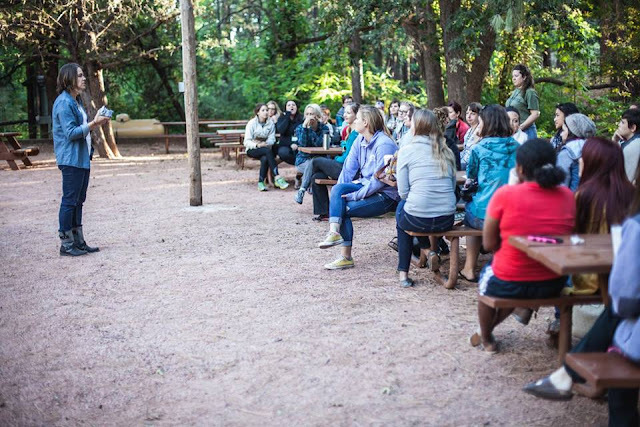 At the retreat, around 50 women shocked me by showing up to a little side seminar to learn my scripture memory system. Yesterday someone told me that a young woman is still at it, and has jumped to two verses a week because I said if one was too easy, add another! Yes! When you are sitting around with a bunch of friends, the scripture memory bandwagon beckons. But, being back in your job, studying for exams, taking care of family quickly jumps in front of the importance of caring for your own soul. Like all my bffs in my fitness classes, let me compel you to keep at it. Don't give up. If you are tempted to give up, memorize Galatians 6:9 this month. The train has dropped you off with your gloves, shovel, and instruction manual. Don't be surprised. Just get to work. I'll be right beside you. We can cheer one another on. Are you still at it? How's your grit, determination, and focus? How many of you still need a packet? Does anyone need more cards? Do you need help? I love to help with this because I can't do it for you. It's all you and Jesus, the very best teacher and only true life-changer. I so want this to be true of my life, so I'm writing it on my heart to focus my hopes into discipline and determination. In the last days, God says, I will pour out my Spirit. Your sons and daughters will prophesy. Your young men will see visions, your old men will dream dreams. I often focus on the last days being difficult times, so I'm memorizing this as a reminder that the God gives us everything we need for life and godliness through his Spirit. What about you? Let's encourage each other by posting our verses. Comment here or leave a comment on Facebook. Again, please let me know if you need help. I'm so continually thankful and continually prayerful for each of you. I'll keep asking God to enlighten the eyes of our hearts! He only is my rock and my salvation, my fortress: I shall not be shaken. Another version says "my salvation and my honor depend on God"-a truth that I am daily meditating on. I must focus on being the daughter of the King instead of the lies of criticism I'm currently facing. I was feeling discouraged and unmotivated in this area until I heard this verse that you taught at retreat. The thought of God considering me to be part of His "glorious inheritance" - that He considers us to be a part of His wealth - hits me right in the gut. Thanks again for all that you spoke at retreat, and for leading us to the good stuff. Christe and me are twinsies! I've been working on Psalm 62:5-8. I've got 5 and 6 down, so for November I'm planning on finishing 7 and 8. I am late posting but as life has been challenging these last few months in have been challenged on more than one occasion to memorize scripture. I also want to have it memorized so in my hurt and fear and anxiety of what is going on in my life I have words of Jesus to say to myself and words to say to other.